Known as 1 Undershaft, the 72-storey tower will be the second-tallest building in Western Europe after the Shard. With over 60 new 'tall buildings' planned for London, this planning approval sets a precedent for London's changing skyline over the next 20 years. Whilst tall buildings provide space required in our major cities, I hope that our historical skyline is protected and enhanced with these new tall buildings; or we will loose the uniqueness on our world class capital. The tallest skyscraper for the City of London was approved yesterday. 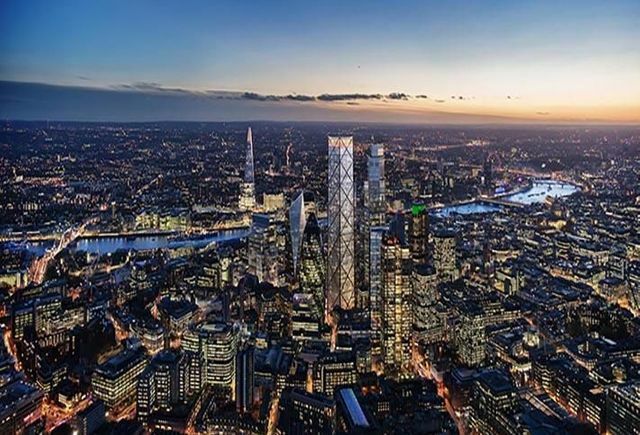 London Corp’s planning and transport committee voted 19-2 in favour of allowing Singapore-based developer Aroland Holdings to build the 72-storey tower known as 1 Undershaft. City of London chairman Chris Hayward said that over the next 30 years, he expects we will need to deliver office space for more than 50,000 extra workers within the Square Mile, and this development is important in reaching that goal. “I believe this building will play an important part in increasing London’s attraction as the world’s leading financial centre.”It will be the second-tallest building in Western Europe after the Shard. The existing Aviva tower will be demolished to make way for the new building.